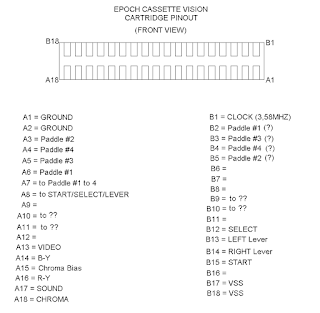 The ECV (short for Epoch Cassette Vision) has three TTL's (S02=CD4049/S09 & S10=CD4050) and x1 uPDC626C TV Video Modulator compared to the ECV-JR which has only x1 TTL (CD4050) and the uPDC626C. 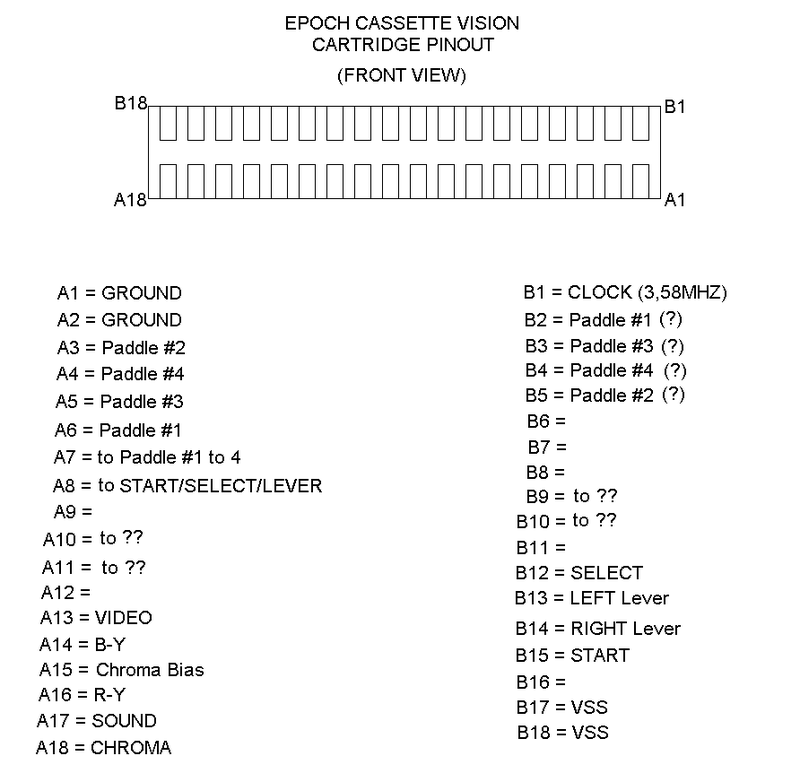 It would be unwise to try to emulate the ECV-JR because it lacks some inputs like the COURSE (used only for Baseball & New Baseball), CONNECTOR (for a Light Gun for Big Sports 12) and Paddles (for many games). The AUX was designed for an unreleased "Block Breaker" game. The ECV has x2 LEVERS called Lever-1 and Lever-2 but you can use either one, they both do the same thing. I can only guess it was for Left-Hand or Right-Hand persons(? ), so that is why there is only one LEVER on the JR. There is a Japanese guy by the nickname of "MGN3303" which has a great knowledge of the ECV and many other game consoles/systems, please visit his blog (it's in Japanese only but you can use an button in the upper-right to translate in English) by clicking HERE. The game "Grand Champion" was just about to be released when Epoch discovered that the game had bugs so they stopped the released and sadly, this game was canceled due to poor sales of the ECV-JR. 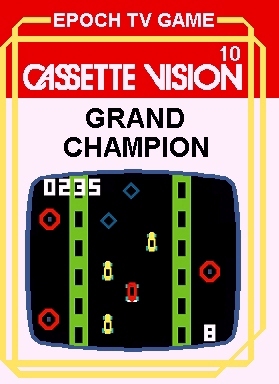 It was based on the arcade game (same name) by Taito. I will be back tomorrow with scans of inlays of each 9 games i have (#1 to 9), sadly i'm still missing the two hardest games to find (#11 and #12)..sigh!